EFFICIENT DISPUTE RESOLUTION FOR A STRONG ECONOMY. IN SWEDEN AND GLOBALLY. Use the calculator to estimate the costs in an SCC case. The SCC offers tailored model clauses available in several different languages. SCC Practice. 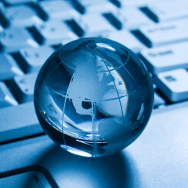 Legislation, Conventions, Court Decisions and the Swedish Arbitration Portal. The SCC is the second largest institution in the world for the administration of investor-state disputes. It is with great sadness that we have been reached by the news that Nina Lagergren has passed away at the age of 98 years. I wake up most mornings thinking about what will become of the self-driving car of arbitration. On 21 May 2019, the SCC and Global Arbitration Review is delighted to once again welcome you to this full-day event in Stockholm, where we will explore the leading issues in international arbitration. The RAA holds the VI Annual conference on April, 25. Professor Kaj Hobér, Chairman of the SCC Board will participate in Session 2: Arbitrability of Russian Corporate Disputes. In a lunch discussion Joel Dahlquist Cullborg and Eric De Brabandere will talk about cases, in which parties have asked the Court to set aside treaty-based arbitral awards. Young Austrian Arbitration Practitioners (YAAP) invite to a special Round Table which will host the second international case manager meeting in Vienna. SCC Legal Counsel Evelina Wahlström will participate together with case managers from Milan Chamber of Arbitration (CAM), German Arbitration lnstitute (DIS) and Vienna lnternational Arbitral Centre (VIAC). The Swedish Arbitration Portal provides free access to English translations of Swedish court decisions on arbitration issues. 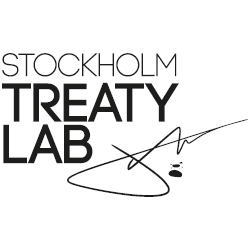 What is Stockholm Treaty Lab?